I’d seen the Hollywood version of cars exploding, but I knew this was not theatrics. I thought I smelled a worn-out belt, but then the smoke made me think our minivan was overheating from traveling across the state. Nothing could have surprised me more, though, when I saw the first flicker of a flame coming from the hood. As I searched for a place to get off the road out of traffic, my fatherly instincts kicked into overdrive — I needed to get my children, and my wife, safely out of the car. 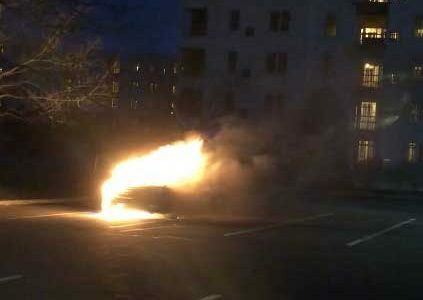 Although I’d seen the Hollywood version of cars exploding, I knew this was not theatrics but a real and present danger. As I drove into the lot of our hotel, I gave instructions for the children to unbuckle and get out of the car. Thank God there was no more than a breath of time between parking and all eight of us exiting the car. Our younger children in the third row had no idea why I was asking them to get out and away from the van, but they obeyed. Once everyone was gone, I grabbed my phone and wallet and ran. As I turned and looked back, I saw the driver and passenger seats were on fire. By the time the police and firemen arrived, the entire vehicle was engulfed in a burning inferno. The adrenaline pumping through me kept me warm, calm, and focused, despite forgetting my winter coat and not fully comprehending what had just happened. As the tires exploded and the airbags flew across the parking lot, I knew we had what mattered most. This Lent, and every Lent, our family gives up certain possessions and comforts. I didn’t fully appreciate that this detachment was a muscle we were building in ourselves and our children. This was the nicest car we had ever owned and now it was gone. My wife’s laptop, my daughters’ dolls, DVDs, coats, and more were all lost, but not a tear was shed for these possessions. Detachment gave us the freedom to cling to God for our comfort and not to the things of this life. Our refuge is in the Lord, says Psalm 31. I stood for an hour talking to the police and firemen outside in the dark with the burning pile of metal just yards away. My brother-in-law, who was traveling with us in a different car, came over and put his coat on me and it was only then I realized that I was cold. He was the first of many who would come to us in our hour of need. Being Catholic, we know that we are one Body in Christ, but it’s in moments of crisis that this reality is made clear. We had multiple families offer to loan us their vehicles, clothes and toys for our children, and rides home to Ohio. Then, after attending Mass the following day at my in-laws’ parish, we were approached by a couple we didn’t know who had been given a car and wanted to “pay it forward” and gift their 2009 Honda Odyssey to someone in need. When they heard about our situation they knew it was God’s design. As they spoke to us in the vestibule of the church, my wife couldn’t stop crying. 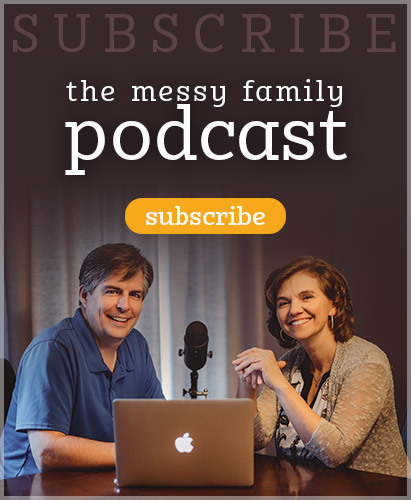 We were both overwhelmed by the tangible reality of the universal Church — a family connected by Christ to one another. The day after the incident, I returned to the place where our car was parked. The asphalt was covered with shattered glass and melted plastic. I walked around with a prayer of thankfulness in my heart for my family’s safety. As I stared at the pile of rubble, I saw a glint of light in the ashes. Reaching down, I found one of the many religious medals we had just purchased as a gift for our goddaughter’s baptism. Of all the items to survive, this one was the most appropriate – a guardian angel medal. I could just imagine the guardian angels who were present in the car with us that day saying to the saints whose medals were also in the car, “Hey guys – stand down. This is our thing. We got this!” I plan to keep this medal on my scapular as a reminder of what we often forget — that we have powerful guardians given by our heavenly Father to defend us. Yes, Satan desires our demise, but we are never without heavenly protection. During Lent we are invited to adjust our worldview through the disciplines of prayer, fasting, and showing mercy to others. Wow, did I get that message through our experience with this fire. Though I would never wish this experience on anyone, I want to challenge all parents to see beyond this life and teach their children to do the same. Fast from the things of this world, detach from them, because so few things are really necessary for happiness. Show mercy to others as we were shown mercy by the many who helped us in our hour of need. And pray. Pray to the angels who’ve been sent to protect us. Ask those angels to intercede for you, seek to listen to their guidance, and offer thanks to God for their protection. 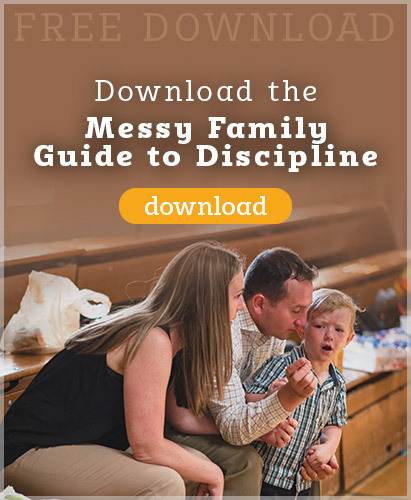 I know these lessons have been powerfully imprinted on my family’s memories this Lent, and I pray they’ll remain this way for a very long time. 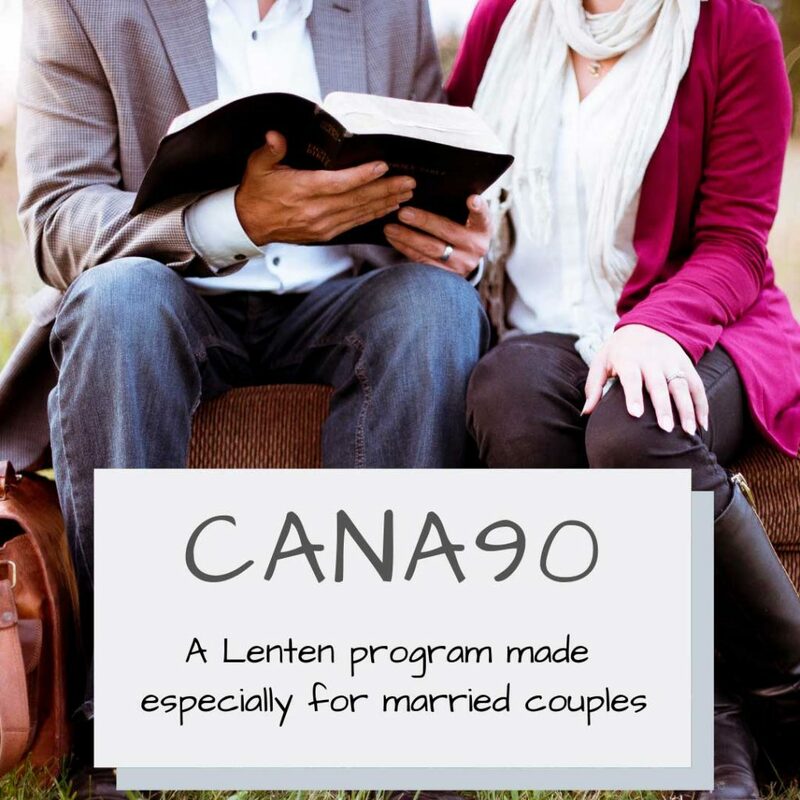 This entry was posted in Blog, Video and tagged cana90, detachment, fire, guardian angels, lent by Mike and Alicia Hernon. Bookmark the permalink.